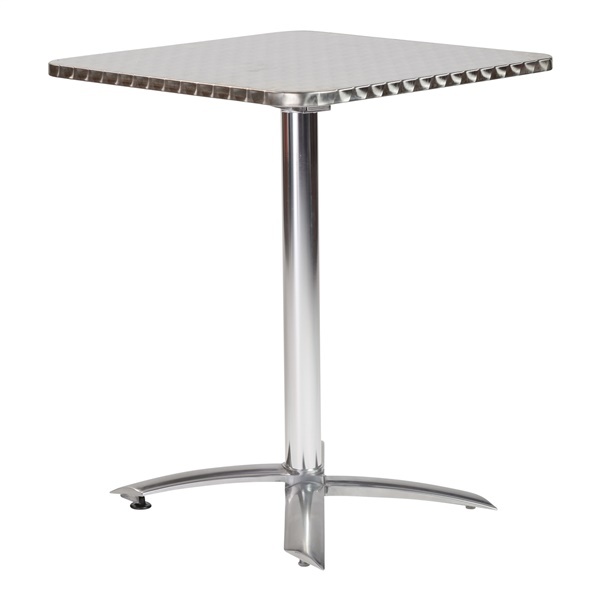 Add sleek style to any setting with the Arden Aluminum Tilt-Top Indoor/Outdoor Table. This modern table offers a great place to gather for a casual meal, whether indoors or outside. Its look effortlessly enhances any space, while remaining a fully functional dining solution. The Arden Aluminum Tilt-Top Indoor/Outdoor Table features an aluminum base with a stainless steel square table top that tilts for easy storage. Its features include a wraparound edge and adjustable feet.